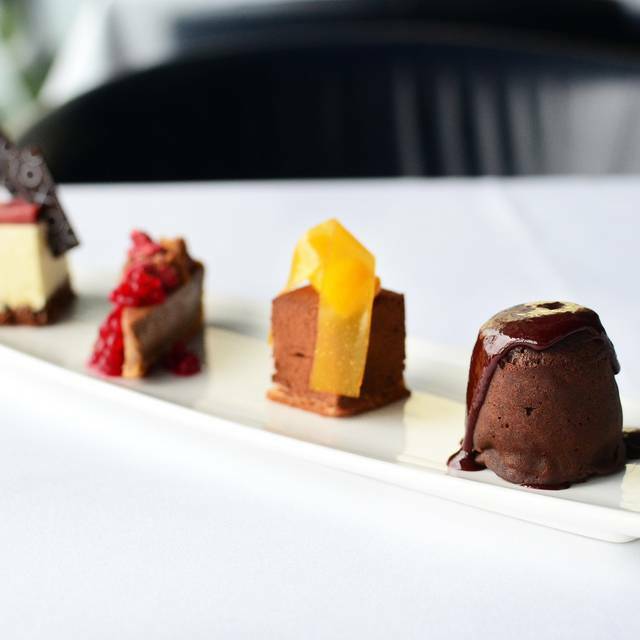 You must make bookings at least 5 minutes in advance of the time at OXO Tower Restaurant. 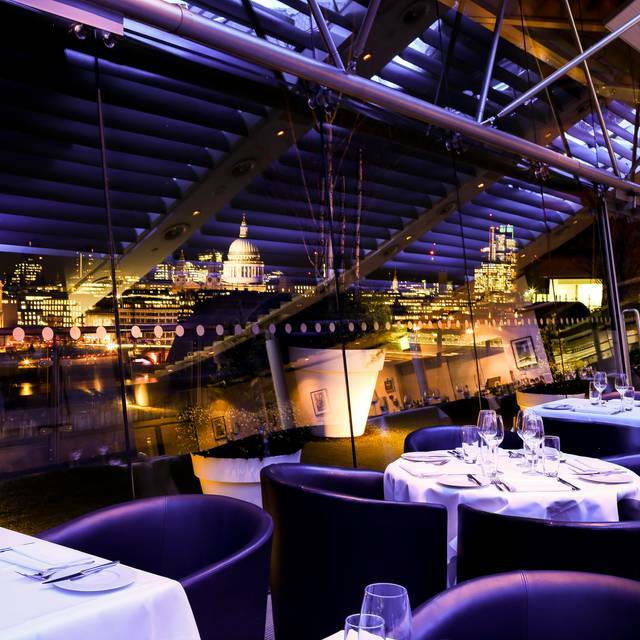 Drawing in Londoners for over two decades, OXO Tower Restaurant is an iconic landmark on London’s South Bank, sharing the eighth floor of the OXO Tower with a trendy Bar and a dynamic Brasserie. 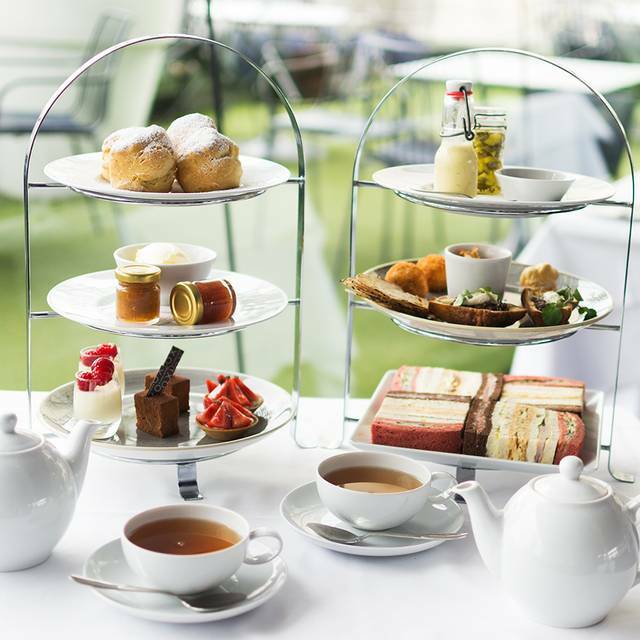 Guests can take in the unparalleled views of St Paul’s and the city’s skyline while enjoying lunch, afternoon tea or dinner at the times listed below. 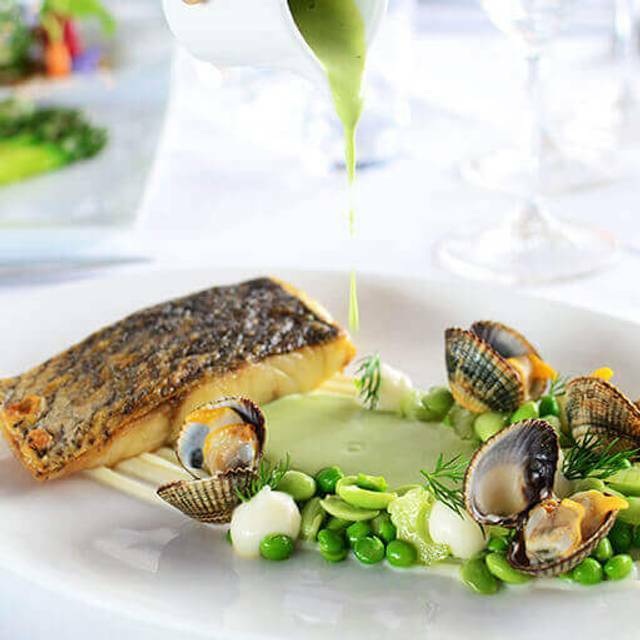 With an expansive garden terrace and floor-to-ceiling windows, OXO Tower Restaurant is an ideal place to enjoy a seasonal British menu created by Executive Head Chef Jeremy Bloor. 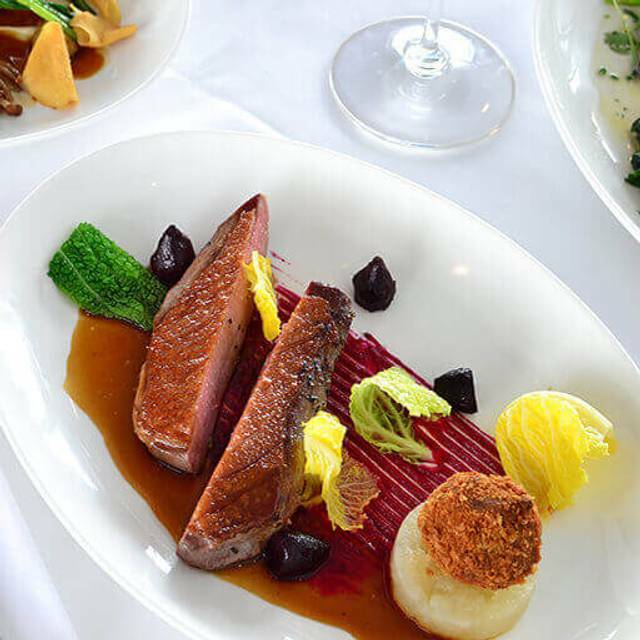 With a focus on flavour, provenance and high-quality produce and a wine list of over 800 wines, it offers an elegant dining experience to celebrate an array of occasions. 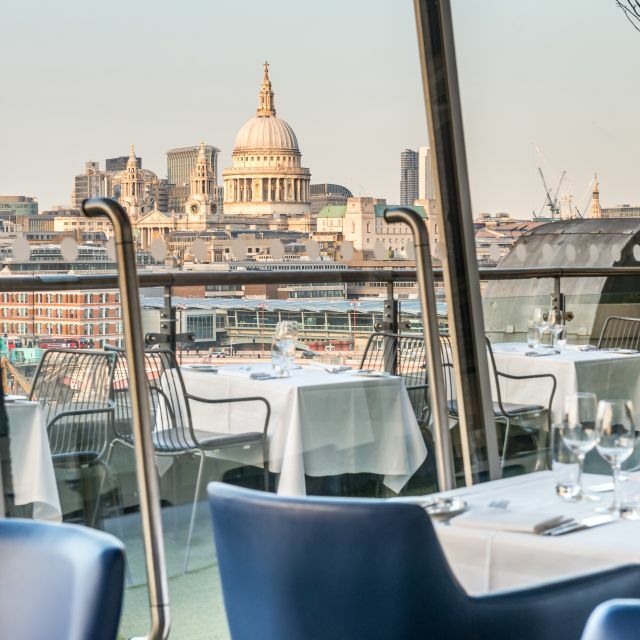 OXO Tower Restaurant in London is just an eight minute walk from Southwark and Waterloo stations and a ten minute walk from Blackfriars station. Located in London’s cultural district, visitors can easily walk to the National Theatre, Big Ben, the London Eye, Trafalgar Square and more. Lovely food, great views and cool background music. The only slight complaint we had was the cold air coming through the vents beside our table. Good service and great food, a bit on the pricey side but views were worth it. Lovely setting enjoyed the food service from one waiter was not what we expected - he was sarcastic and not very attentive . Other waiters who served us were good. What a perfect place to finish off our trip to London! Loved the wonderful sunset view looking out over the Thames River and city. Everyone’s dinner was delicious too! Really nice restaurant. 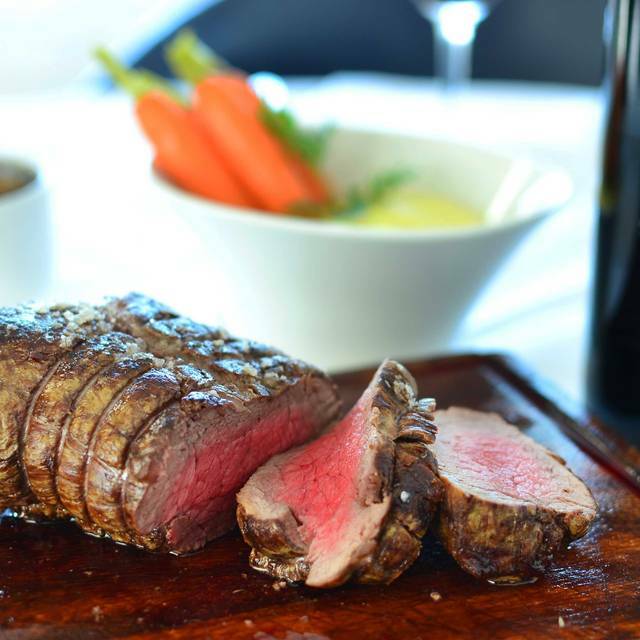 Great views, great service, great food. This is one of the loveliest spaces in London, and it also has particularly delightful cuisine. The service is charming and capable. I particularly loved the take on falafel, and the rhubarb/apple crumble, but all the food is marvelously presented and intelligently executed. Dining while overlooking St. Paul's and the river traffic, not to mention the skies that look like a Constable painting is as great a pleasure, as the sophisticated but unpretentious cuisine. Eating here will make you happy! Ive had smaller bills at 2 Michelin star restaurants and the food is worlds apart. Oxo is an OK venue, the staff are friendly enough, wine pairings just OK. for 135 per head I recommend you go to core by Claire smith rather than here. Really disappointed. Even though I made a mistake in my time booking hoping for afternoon tea. (times could be clearer on website) we had a fabulous meal off the set menu and apart from the expensive bottle of water (I'm a tight northern) I can not fault the restaurant for service, taste and overall experience. We felt that the food didn't really justify the price. The environment kind of made up for it except we were probably given the worst possible table of the lot, in the middle surrounded by lots of other people/tables. When we were leaving, the reception / cloakroom guy saw me, but proceeded to let 2 groups cut in line, which was slightly annoying - didn't really mind though coz I was waiting for girlfriend anyway. The service was very good and the waiting on staff are attentive. The food however was poor and over priced, I feel you pay for the view which is restrictive anyway. Thursday night out with the other half for a romantic and nice meal. Great wine selection advice. Each dish was very tasty. The view is world class. Pleasantly surprised at the professionalism and definitely will return soon. 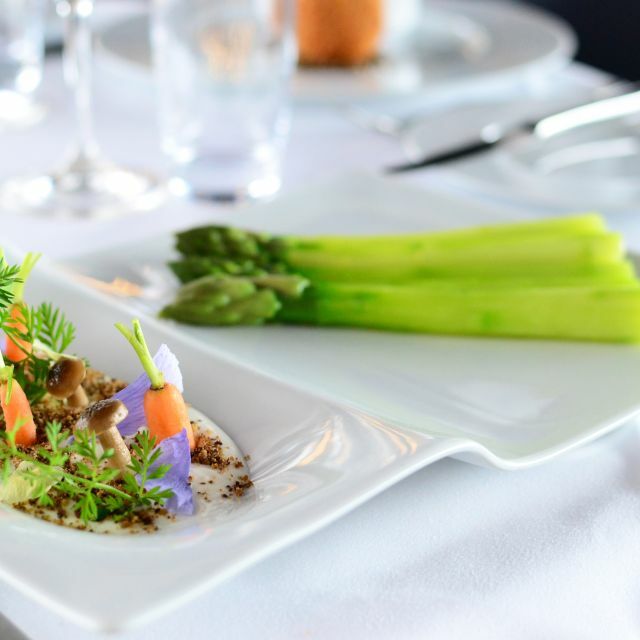 I selected OXO Tower Restaurant because like many restaurants in London they offered a special “Veganuary” menu for the month of January. We booked Vegan Afternoon Tea in hopes of catching the sunset and we were not disappointed. Our waiter Adam was very friendly albeit very soft spoken. Another gentleman, possibly another waiter even allowed me to go out onto the balcony to snap a few photos. Our meal was fantastic! We started with a selection of finger sandwiches and a refreshing mini avocado smoothie. I had the chocolate ginger tea which was delightful. My daughter ordered the peppermint tea which she enjoyed as well. After the savory portion of the meal we enjoyed miniature lemon meringue tarts, pineapple coconut cakes, a filling apple mousse and of course scones and jam served with coconut clotted cream. The food was wonderful. The tea was wonderful. Our server was wonderful. If I had to say anything negative at all it was that our water glasses were not refilled even after I requested more. It’s hardly worth mentioning as everything else was so enjoyable. I will definitely return during my next trip to London. We've been to the Oxo Tower before so we already had high expectations. This was our niece's 21st birthday and the team absolutely delivered. Great food, great atmosphere, great service. Nuff said!! 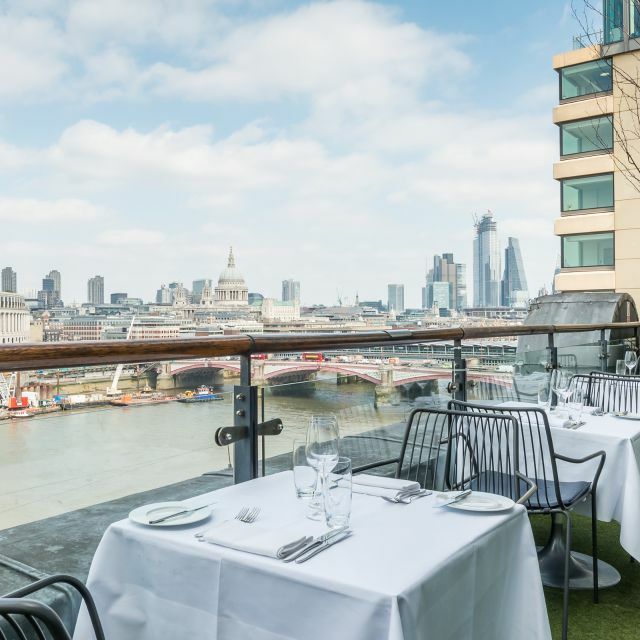 Overall a very good experience, great views over the Thames, very attentive service, and they kindly fulfilled a request upon booking for a window table which was amazing. The food was very good, however given the price I was hoping for something extra special in terms of quality, but I’d still recommend visiting. It's been some time since I've been in the Oxo Tower and enjoyed this experience very much. The service was excellent although the waiter taking care of our drinks, was a little over exuberant, filling up water and wine every few minutes. Our food waiter was attentive without being at our table continuously. Restaurant was busy but not too noisy. The food was quite varied with a good selection of wines. Very pleasant lunch. Good food. Helpful but not intrusive waiting staff. Great view! Spectacular views of London and river Thames. Service was very good. Food presentation also good. Quality of food was good but no more than that, though my Lamb dish seemed more like high quality canteen food. Two main courses and three drinks with service charge came to £116.00. Only come to this venue if a very special occasion or you want to impress and you also have the money to burn. Birthday celebration with friends from abroad. Didn't disappoint. Great food, great service. The Oxo was booked as I had heard good things about it! Our visit was very disappointing. The main issue centres around the very poor service we received. There was no warm & courteous welcome by the reception staff, merely a request for your name and point towards the restaurant. Thereafter, the service provided continued to be poor. Excessive time to order drinks, meals, clear plates away. Having to ask someone to bring bread to the table. I reported the poor service to a member of staff in the hope the second half of the meal would improve. Unfortunately it did not. Again at the end of the meal, I spoke to a manager who came to take payment, about the poor service we had received. He apologised and said he would remove the service charge. I declined this as paying for the service is not an issue but would hope that the service we received is not the norm. The food was nice and the views from the restaurant are spectacular. If the service was improved I would recommend the Oxo. As it stands, I would not recommend. We booked a table as a surprise for my Daughter's birthday as this is a restaurant she has always wanted to visit. From the moment we arrived to the end of the meal the service for fantastic. Would highly recommend the tasting menu, as you will sample every aspect of the Chef's skills and creativity. Thank you so much OXO for a fantastic evening and a very happy birthday girl! We went to the oxo tower for dinner and drinks. We enjoyed all of our starters and mains. We chose a light red wine which was superb. Good service excellent atmosphere suitable for oeiloke to meet and talk not noisy nice bar with music life . We were giving our two daughters a special family dinner before they start at their respective universities. Wonderful evening. Great food, amazing view, splendid and charming service and a lovely informal feel to a smart restaurant. Very disappointed in the service and food. The only nice thing about this restaurant is the view. Will not be going back. We sat on the terrace for an early dinner before going to see a play. It was a sunny evening and our view of the river was great. The food was good and the service very attentive. A little expensive but the view and atmosphere was worth it.